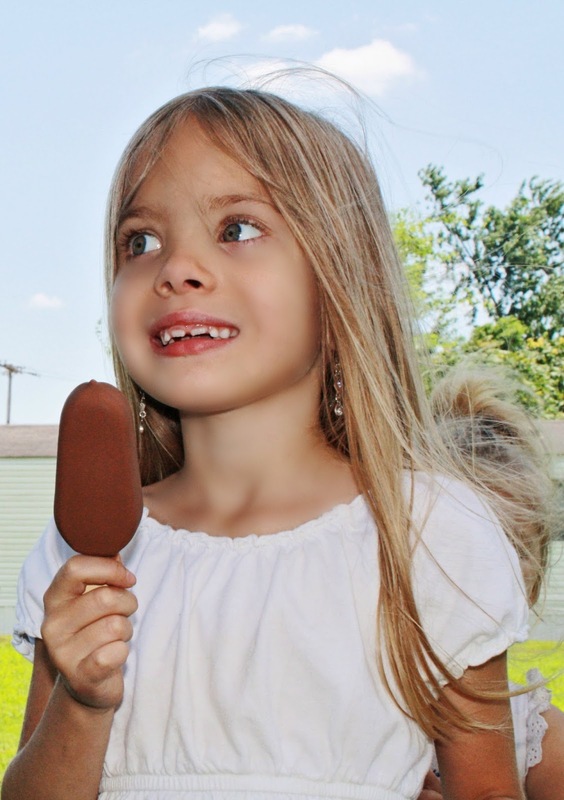 My family and I love chocolate and we love ice cream. A few year's ago, I had my father out for the summer and introduced him to Blue Bunny® Ice Cream and he fell instantly in love with it. Ever since then, it's been my ice cream of choice and I can vouch for all my children, Cadbury™ is one of our chocolate favorites. 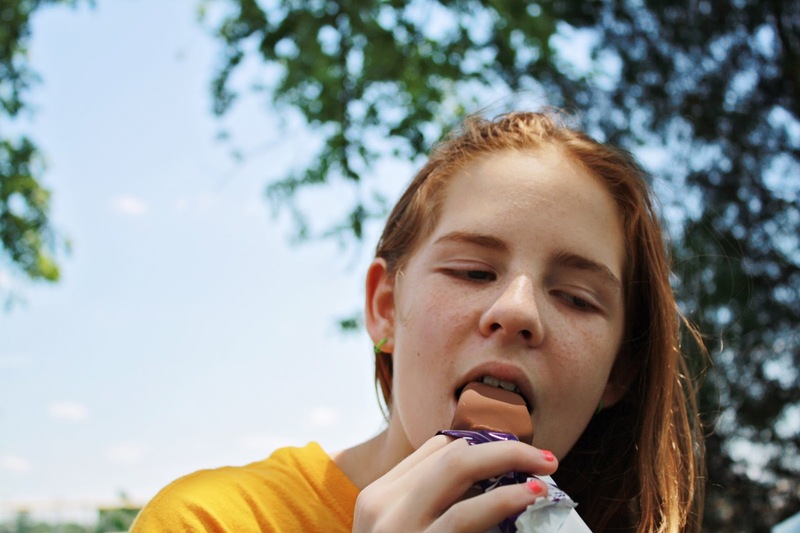 Cadbury™ has these wonderful tasting ice cream bars that are made with Blue Bunny® Ice Cream and they are incredible. The rich, decadent taste of Cadbury™ chocolate melts in your mouth with every bite. It was hard for me to decide which one was my favorite as I was able to try English Toffee bars, Homemade Vanilla Ice Cream Bars, Cadbury™ Caramello Ice Cream Bars and Cadbury™ Royal Dark Ice Cream Bars. We had a Cadbury™ High Tea Party with my nieces and other family members a couple of week's ago. 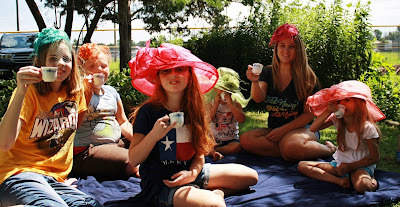 Apparently, some of my family were a bit shy and wouldn't sit for the picture but here are at least six happy tea participants. I have to say the hats were the coolest things ever and the girls really felt they were part of a British royal event. I tease my oldest that she looked like Kate Middleton in her hat. My mom is from England so I do feel a connection to the lovely country that I have visited a few times. After we had our tea, we enjoyed our ice cream which was a huge hit! Everyone loved it except my finicky father who isn't a huge chocolate fan and said it was too chocolaty for him but the rest of us wanted more! Our tea party turned into an overnight party and we kept it going. I had my mom pick up another box of the Cadbury™ Ice Cream bars to finish off the night at the hotel. As you can see, the girls had a fun time. My party kit for the Cadbury High Tea Party was provided by Cadbury and MomSelect.